Alfred Millard William Christopher was born in Bloomsbury on August 20th, 1820, the twelfth of the fourteen children of George Christopher and Isabella Frances Ashington. His father was a wine merchant. At the time of the 1841 census Alfred, 20 years old, was staying with his parents during the university vacation at their home at Paragon, Ramsgate. His father was described as independent, and his brother Arthur was now a wine merchant. Also at home was his brother George, a surgeon, and his sisters Louisa and Matilda. The family had one servant, and the house had its own lodge, occupied by a lodgekeeper and her children. While at Cambridge, Alfred played cricket. He obtained his B.A. in 1843. He was admitted as a sizar to St John's College, Cambridge in May 1839, and migrated to Jesus College, Cambridge in 1840. In 1844 Alfred Christopher became headmaster at La Martiniere school for boys in Calcutta, India. He held the position until 1848. After returning to England, he was ordained deacon in July 1849, and priest in July 1850. 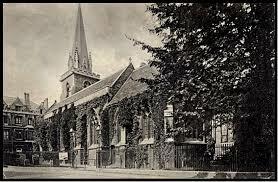 He served as curate at St John's, Richmond from 1849 to 1855, and at the time of the 1851 census, when he was 30, he was living at 6 Park Shot, Richmond with his wife Maria (34) and their first child Henry. From 1855 Alfred Christopher worked as an association secretary of the Church Missionary Society, travelling widely. In August 1859 he was appointed Rector of St Aldate's, then a poor area of Oxford, and the Christophers settled in a house in Park Town. He remained there until 1905. At the time of the 1861 census Mrs Maria Christopher was home in Park Town with their younger son Alfred (5) and her unmarried sister Caroline (42), and their three servants (a cook and two housemaids); and Alfred himself (40) was paying a visit with his elder son Henry (16) to his cousin Thomas B. Christopher (49), a retired Commander in the Royal Navy, who lived with his wife and young son at Sea Mount, Malew, Isle of Man. He visited Canada in 1872 and preached at a Sunday evening service at the Cathedral in Quebec City. He then visited Nelson George Robinson in Britannia, Ontario. Nelson George's wife, the late Caroline Christopher Robinson, was Canon Christopher's sister. He also visited his son Alfred, who had purchased a farm outside Toronto. In 1878 the Revd Christopher and his family moved into the new rectory for St Aldate's Church that had been built at 40 Pembroke Street. In 1886 the Revd Christopher was made an honorary Canon of Christ Church. In 1901, when Canon Christopher was 80 and his wife 84, they were both at home in the Rectory. Sarah Lawrence wrote in T. E. Lawrence by his friends that Ned 'was for many years a constant worshipper at St. Aldates Church and taught in the Sunday School there twice every Sunday. He had the great privilege of Canon A. M. W. Christopher's gospel teaching from his early years till he left Oxford in 1910. After the Canon retired from St. Aldates [in 1905], all the boys went to a class for students which he held in his house every Sunday during term. Canon Christopher had moved to 4 Norham Road by August 1910, when the Oxford Journal Illustrated published a photograph of him to celebrate his 90th birthday. He resigned as Rector of St Aldate's the following year. At the time of the 1911 census, his granddaughter Edith Christopher was keeping house for him, and he was evidently already ailing, because as well as his granddaughter and a general servant, a sick nurse was living with him at 4 Norham Road. He died on March 10th, 1913. BELOVED WIFE OF THE REV. A. M. W. CHRISTOPHER M.A. AND THE REVEREND ALFRED MILLARD WILLIAM CHRISTOPHER M.A. FUNERAL OF THE LATE CANON CHRISTOPHER. AN IMPRESSIVE CEREMONY. The funeral of the late Canon Christopher took place on Friday. The body had rested in St. Aldate's Church overnight, the Rector (the Rev. G. Foster Carter) having received it and conducted a short service in the church on Thursday evening. Some considerable time before the commencement of the service on Friday, the spacious church began to fill with sympathisers, and there was hardly a vacant seat to be seen at twelve o'clock. The congregation was thoroughly representative of the church, academic and civic life of the city, and a noticeable feature was the presence of so many old parishioners of the late Rector, many of whom were visible affected. The chief mourners were Capt. and Mrs. Christopher, Miss Edith Christopher, the Misses Ada and Eleanor Christopher, Mr. Mordaunt Christopher, Sister Beatrice Anna, Mr. Freville Christopher, General Christopher, the Rev. Proby L'Caultley, Mr. Percy Tatham, Miss Edith Frances Christopher, Mrs. Arthur Irwin (Southam), Professor and Mrs. Firth, the Principal of Wycliff Hall (the Rev. H. G. Grey), and Nurse Potter. Amongst those also present were the Dean of Christ Church (representing the Vice-Chancellor), the Master of Balliol, the President of Trinity, the President of St. John's, the Provost of Oriel, the Warden of New College, the Provost of Worcester, the Warden of Keble, the Principal of Pusey House (Dr. Darwell Stone), the Rev. Canon Ottley, Rev. C. A. Marcon, the Senior Proctor (Mr. A. L. Farquharson), Col. Farquharson, the City Rector (Dr. A. J. Carlyle), Dr. Vernon Bartlet, Mr. Sidney Ball, Mr. F. Powell and Mr. J. Snow (St. John's), Rev. C. R. Carter, Mr. T. E. Lawrence (Magdalen), Mr. J. Diggle, Rev. C. S. Woodward, Mr. J. S. Crisall (Wadham), Mr. R. J. Whitwell (Corpus), Mr. F. Sampston (Brasenose), Mr. F. A. Bellamy, the Archdeacon of Oxford, Rev. H. L. Wild, Rev. Canon Clayton, Rev. E. W. Cox, Rev. J. H. Mortimer, Rev. E. F. Smith, Rev. G. Moore, Rev. O. D. Watkins, Rev. C. A. Heurtley, Rev. H.. D. de Brisay, Rev. Harvey Gem, Rev. H. Bazeley, Rev. H. O. Barratt (formerly curate of St. Matthew's), Rev.A.L.Davies, Rev.A. Langdale-Smith, Rev. R. M. Langdale-Smith, Rev. 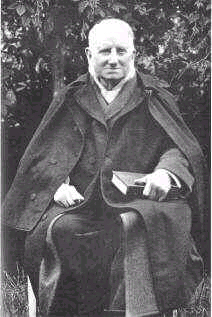 R. W. G. Hunter, Rev. H. G. Johnson, Rev. 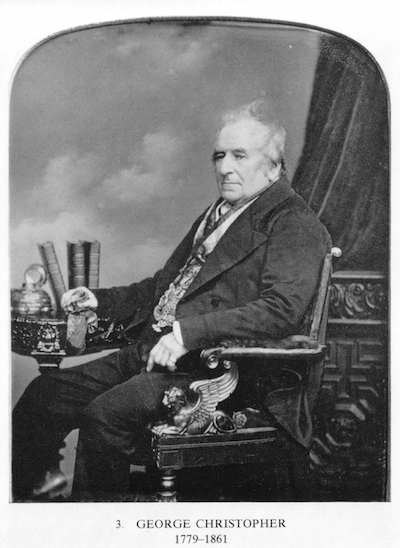 D. H. D. Wilkinson (representing the C.M.S. ), Rev. J. Foulger, the Sheriff (Councillo H. Lewis), Alderman the Rev. W. E. Sherwood, W. B. Gamlen, Councillors S. M. Burrows, T. Basson, J. E. Salter, and A. J. George, Mrs. Pilcher, Mr. K. Pilcher, Mrs. Foster Carter, Messrs F. Burden and A. Fogden (churchwardens), D. Swift, C. H. Brown, Thornton, Francis, Pritchard, Jones and Salmon (sidesmen), Keen and Fletcher (churchwardens of St. Matthew's), Col. Eliot, Col. Le Mesurier, Major Drage, Mr. C. M. Vincent, Mr. Martin Sutton, Mr. A. Ballard, Mr. H. H. W. Sheard and Miss Sheard, and Messrs. W. L. Orpwood, H. R. Mainwaring, E. J. Rose, A. Wenham, P. H. Badcock, G. Taylor, F. Martin, A. R. Pumfrey, R. J. Grubb, C. Archer, H. Martyr, G. Pouncer, Stanley Cooper, W. Davis, A. W. Sansom, H. Clifford, Sergt. Hancock, Sergt. Major Owens and others. The Vice-Chancellor, Sir Henry Seton Karr, Bishop Ingham, Lord Radstock and Major Danby Christopher were unavoidably prevented from attending. Whilst the congregation were assembling, Mr. T. G. Osborn, F.R.C.O, the organist, played "O Rest in the Lord" and other voluntaries. There was a beautiful collection of floral tributes sent by the following: Captain and Mrs. Alfred Christopher; Misses Ada, Eleanor and Edith Christopher; Mr. Mordaunt Christopher; Mrs. Henry Brooke, Hampton Court Palace (niece); Miss Violet Brook (grand-niece), Miss Frances Robinson (niece), Colonel and Lady Margaret Proby; Mrs. George Byron; Professor and Mrs. Firth; Mrs. Edwin Palmer; Misses Mary and Lucy Palmer; Rector and Congregation, St. Aldate's Church, and St. Aldate's Sunday School teachers and scholars; Congregation, St. Matthew's Church, Grandpont; Teacher and Scholars, Grandpont; Rev. H. D. and Miss de Brisay; Mr. Henry Bazeley; Rev. J. H. Mortimer; Miss Brazier; Rev. H. L. and Mrs Barrett; Miss Hales, Mr. and the Misses Whitwell; Mrs. Pilcher, Dr. and Miss Pilcher; Mrs. Orpwood and family; Nurse Potter; Senior Staff of St. Hilda's College, Durham; DrÂ Krebs, and Mr. Lawrence. The funeral arrangements were entrusted to the care of Mr. F. Burden, St. Aldate's.